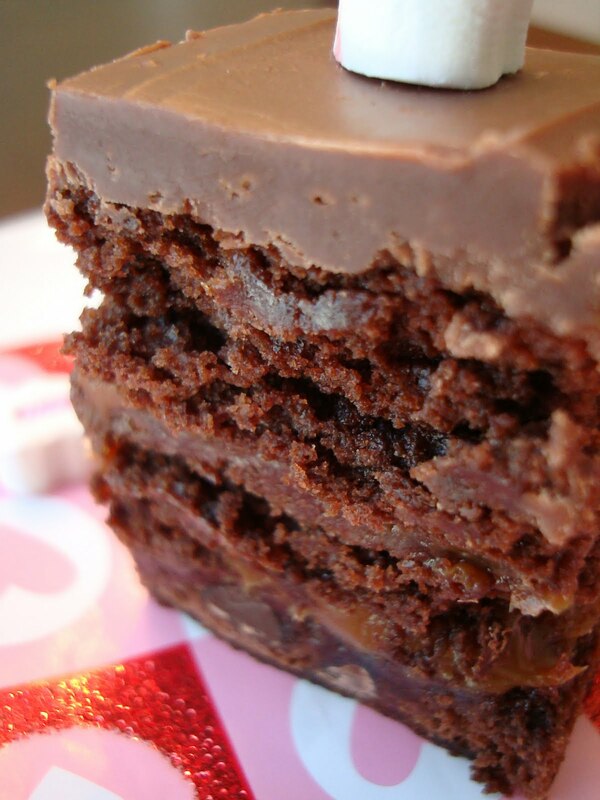 I have been on a chocolate-caramel kick. It's my favorite combination, although chocolate-raspberry is a very close second. 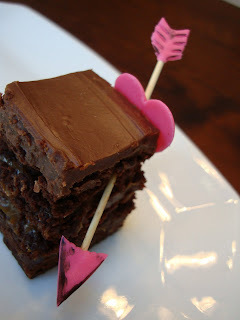 So what better time to make rich, decadent chocolate desserts than Valentines Day? Double chocolate brownie split and filled with 2 layers of creamy caramel and topped with a thick layer of milk chocolate ganache! I made a cute little fondant heart and arrow! Can't see the caramel and chocolate chips but they're there. These squares stood about 2 inches tall!